My heart is full. Actually, it is overflowing. With joy, with gratefulness, with such clarity about the goodness of God. Sometimes the goodness of God is difficulty and challenge and then other times it is the simple, sweet gifts, the desires of the heart come true. This season, I am rejoicing in the simple, sweet gift because I am fully aware that this all--this book-- is from Him. And it's for Him. On Friday, I will gather with cherished people and celebrate. We'll talk about the book, and I'll probably be nervous and awkward, but also try to soak it all in, one hug and one toast and one friend at a time. We'll celebrate a dream come true, but, really, we'll be celebrating God. He is faithful--always has been--and I have one more reason to count Him so. Thank you for this. I don't know all of you by name or face, but I am blessed by your every email and comment. Thank you for celebrating with me and affirming the need for resources that offer help and hope to women of influence. I hope you like the book, but, mostly, I pray that God uses it to encourage you and move you toward Him. 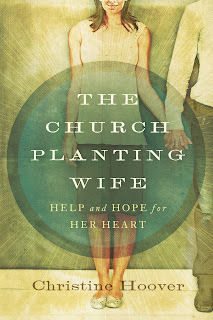 This book, The Church Planting Wife: Help and Hope for Her Heart, is meant to be what it says: about our hearts. (You can read more details about it here.) 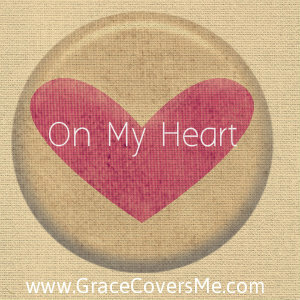 Our hearts are vital to the mission, no matter our ministry. In this space, I have often shared how God has used church planting and ministry to revolutionize my heart. I have learned dependence. I have learned to live as a daughter rather than an orphan. I've learned to look for the rewards of ministry. And I shared recently about how God is challenging me to choose joy and how I must rely on the Body of Christ and not stand apart from it. Now is the time, however, when I want to hear your stories. I want to hear how church planting has changed you or been for your good. I want to hear how God is using ministry to dig down deep in your heart and sift you. Whatever your ministry is, whether it's to your children or to a certain group of people, I want to hear how God has shown you how to love and sacrificially serve, how to be a helper to your husband, how to serve as a single woman, and how to look to Him for your identity and approval. Let's collect them here together as a sort of Ebeneezer, an altar to remember God's faithfulness to us. Because then we can go forward in faith. Let's feed each other faith so we can continue to feed it to others. We'll be sharing stories until February 4th. After the collection closes, I will randomly select (by link numbers) one linker who will win a copy of The Church Planting Wife and this heart necklace from The Vintage Pearl, engraved on the inside with these words from the book: Follow God. Love people. 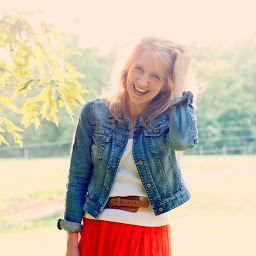 I will also highlight my favorite posts on the blog next week. 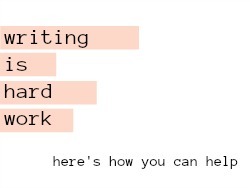 Write a post sharing your story on your own blog. Please share the graphic above and this info somewhere in your post: "I'm linking up with Christine over at Grace Covers Me today as she releases her book, The Church Planting Wife: Help and Hope for Her Heart, and collects heart stories from church planting and ministry wives. Join us?" Come here anytime between January 30 and February 4 to link up. At the bottom of this post, click on "Add your link" and follow the instructions. You will need a picture and the permalink of your blog post to get started. That's it! Your link will be added and you will be entered in the book and necklace giveaway. To celebrate the release of the book, I'm also offering some goodies for you! If you buy the paperback version of the book online between February 1 and February 8, you will also get a free digital download of the book (perhaps give the paperback as a gift? ), as well as a digital download of my ebook devotional, 31 Days of Love Letters: Searching Scripture for How God Loves. To take advantage of this promotion, just email your receipt to cpwifebook@moody.edu and you'll receive an email with instructions. Between February 1 and 4, I will be giving away 5 copies of the book. Enter by tweeting this: "I want to read #TheChurchPlantingWife by @christinehoover! http://amzn.to/SWcIhV" or by sharing the top status found here (https://www.facebook.com/TheChurchPlantingWife) with your Facebook friends. I'll announce a winner at 8 pm on February 4. I hope it's you! Melissa shares why she thinks the book is applicable for women who aren't in vocational ministry. Ashley, a pastor's wife, admits that she was reluctant to read the book. Leslie declares that the book is applicable to any woman. Cristi, a international church planter, shares what she got out of the book. It's your turn! Go on. 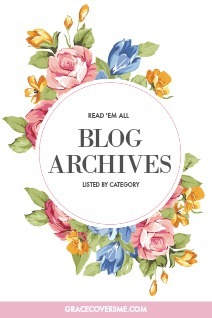 Write that blog post and come back to share your story with us. I can't wait to read them all.